BlackBerry believes in BlackBerry, but does anyone else? BlackBerry published an open letter to customers and partners today in an attempt to curb the public perception that it's struggling to stick around. "You've no doubt seen the headlines about BlackBerry," the letter opened. "You're probably wondering what they mean for you as one of the tens of millions of users who count on BlackBerry every single day. We have one important message for you: You can continue to count on BlackBerry." The letter continued to claim that BlackBerry has "extensive cash on hand and a balance sheet that is debt free," and that the company is restructuring to cut expenses by 50% "in order to run a very efficient, customer-oriented organization." BlackBerry's letter to customers and partners was published on social media today and will appear in 30 newspapers in nine countries, including the Washington Post and the Wall Street Journal, around the world starting on Tuesday. The company has faced troubles recently as Android and iOS claim more and more market share. The BlackBerry PlayBook tablet was a failure, and BlackBerry 10 is seen by many as too little, far too late. But it's not all bad; the company recently agreed to a deal to go private, and its original founders are considering buying it back. "These are no doubt challenging times for us and we don't underestimate the situation or ignore the challenges," today's letter read. 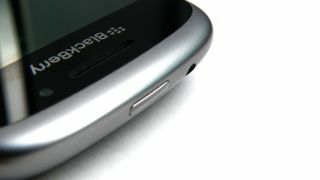 "We are making the difficult changes necessary to strengthen BlackBerry. "One thing we will never change is our commitment to those of you who helped build BlackBerry into the most trusted tool for the world's business professional." It goes on to boast of BlackBerry's "best in class" productivity tools (BlackBerry 10), security, enterprise mobility management, and "mobile social network" in the still-unreleased BBM for iOS and Android. "We believe in BlackBerry," the letter said toward the end. But does anyone else? Here's what TechRadar thinks of the BlackBerry Z30, the most recently revealed high-end BlackBerry 10 smartphone.